New Delhi: ” We have 21 AIIMS operating and being established in the country and i take pleasure in announcing that the 22nd AIIMS will be in my hometown state of Haryana,” With this announcement, Finance Minister Piyush Goyal began the interim Budget for 2019-20 fiscal. 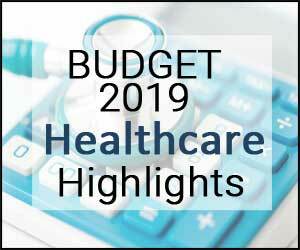 The minister was seen reminding the parliament that the Modi Government last year launched the world’s largest healthcare program, Ayushmann Bharat, which has already benefitted 10 lakh people with poor and middle class have saved Rs 3000 crore owing to the same. Since this year is the election year, there has been no full-fledged budget, only an interim budget. An interim Budget, also known as A vote on account, implies that the government seeks the approval of Parliament for meeting expenditure for the first four months of the fiscal year (April-March) — paying salaries, ongoing programmes in various sectors etc — with no changes in the taxation structure, until a new government takes over and presents a full Budget that is revised for the full fiscal. So Haryana will be the next developed state after Gujarat! I THINK EXCEPT AIIMS NEW DELHI , REST OF THE AIIMS ARE MORE LIKE ANY OTHER MEDICAL COLLEGE , OR LIKE A DISTRICT HOSPITALS. I THINK THERE IS SERVER SHORTAGE OF THE FACULTY MEMBERS, FACILITIES AND EQUIPMENTS. I THINK IS OUR GENES TO TELL A LIE OR TO DEAD OUT SCRIPT OF THE BABUS THE BUEROCRATES BY THE OUR LAWMAAKERS , IRRESPECTIVE OF THEIR EDUCATION KNOWLEDGE STSUS AND EXPERIENCE. I THINK THIS ATTITUDE OF THE OUR LAWMAAKERS SHOULD CHANGE , OTHERWISE IRRESPECTIVE OF THE GOVERNMENT IN POWER , THE FUNCTIONING / GOVERNANCE WILL REMAIN THE SAME. THAT\’S WHAT I HAVE NOTICED OVER THE YEARS . BABUS DICTATES , THE POLITICIANS FOLLOW. DESPITE BEING IN MEDICAL COLLEGE FOR ALMOST 30 YEARS , TODAY ONLY I COME TO KNOW ABOUT INDIAN MEDICAL PROFESSIONAL STANDARDS, THAT TOO WHILE READING ABOUT AN ARTICLE STRIKE BY SOME YOUTH OF SIKKIM. THERE ARE HUNDREDS SCHEMES , I THINK THEY ARE ONLY ON THE PAPERS . I THINK MORE THAN FIFTY PERCENT OF THE MONEY IS SYPHONED OUT THE SO CALLED HIGHER-UPS . If the MC is in Gurugram then one big source of faculty is the Private Hospitals like Medanta and Fortis. So they may be able to adopt the Honorary system a la Mumbai and get away. A lot of talent is there for the asking.